Looking around the studio, there are multiple screens that are plastered in my Instagram and Facebook photos. 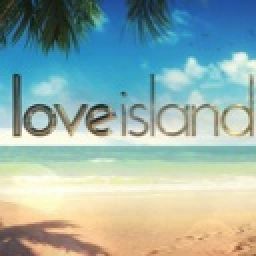 I&apos;m filming my introduction tape for Love Island today in the ITV studios prior to the show in two weeks time. "Hi, I&apos;m Ella, I&apos;m 22 years old and I&apos;m a medical student from Staffordshire." If you could be any emoji, what would you be? "If I could be any emoji, I&apos;d be the cat with the heart eyes, because I can be a bit of a minx sometimes and I can fall in love really easily." If you could be any movie character, who would you be? "Definitely Anna Scott from Notting Hill. She&apos;s famous, has an amazing career, but just meets a normal and nice guy and they fall in love." "Probably my eyes," I giggle. "Blue eyes always catch the guys, don&apos;t they? Either that, or my hair." "Um ... probably that I was the teacher&apos;s pet at school. Straight A&apos;s, never got a detention ... I&apos;m the complete opposite now." What three words best describe you on a night out? What three words best describe you in the bedroom? "Oh Christ," I laugh. "Maybe ... cuddly, giddy, and passionate." What are you like on a first date? "Clumsy, very clumsy. Most girls are all pretty and they cut their food nicely, and I just end up spilling it down myself - might be why I&apos;m still single!" Finally, how are you feeling about going into the villa? "I&apos;m excited to find love and make some new friends. I can get a tan while I&apos;m at it too, so it should be a good time!" I&apos;ve been on lockdown in my hotel room for a week. Don&apos;t mistake me, the hotel room is gorgeous, but since I haven&apos;t been able to leave, it&apos;s definitely getting boring now. All of the new Islanders have been kept in lockdown in their rooms, so no islander can meet another islander. It&apos;s a good idea I guess; it saves all the drama for when we get into the villa. Today is the day that I enter the villa. My suitcases with my clothes in have been taken and delivered to the Majorcan house. My phone has been confiscated and in place, I&apos;ve been given a Love Island Phone for texting and taking selfies. I&apos;ve also been given a water bottle with my name on the side. &apos;Ella&apos; it reads in the most beautiful font. There&apos;s a light knock on the door of my room, and then it&apos;s pushed open. "Come on Ella," a producer instructs. "We need to get you out of the hotel quickly. A car is ready outside to take you to the Villa." Making my way out of the hotel to the freedom and flow of fresh air, a blackout Range Rover is parked parallel to the hotel entrance. Climbing into the back seat, the engine starts, and I&apos;m driven into the rising Majorcan sun. Here we go. 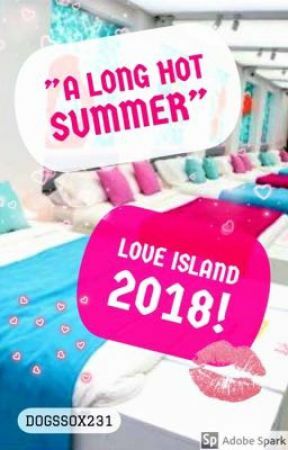 This is where Love Island begins.